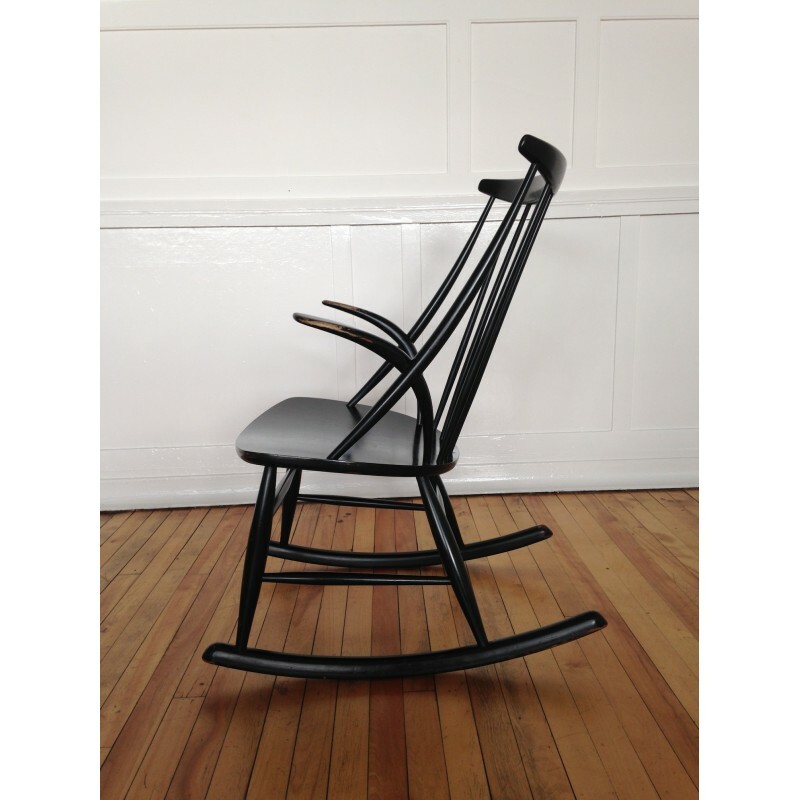 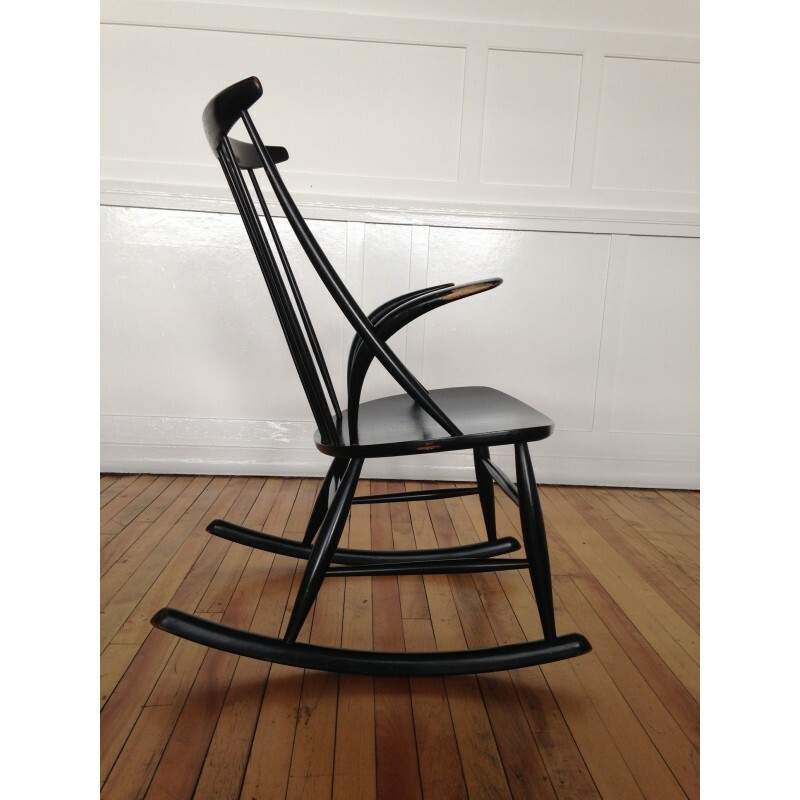 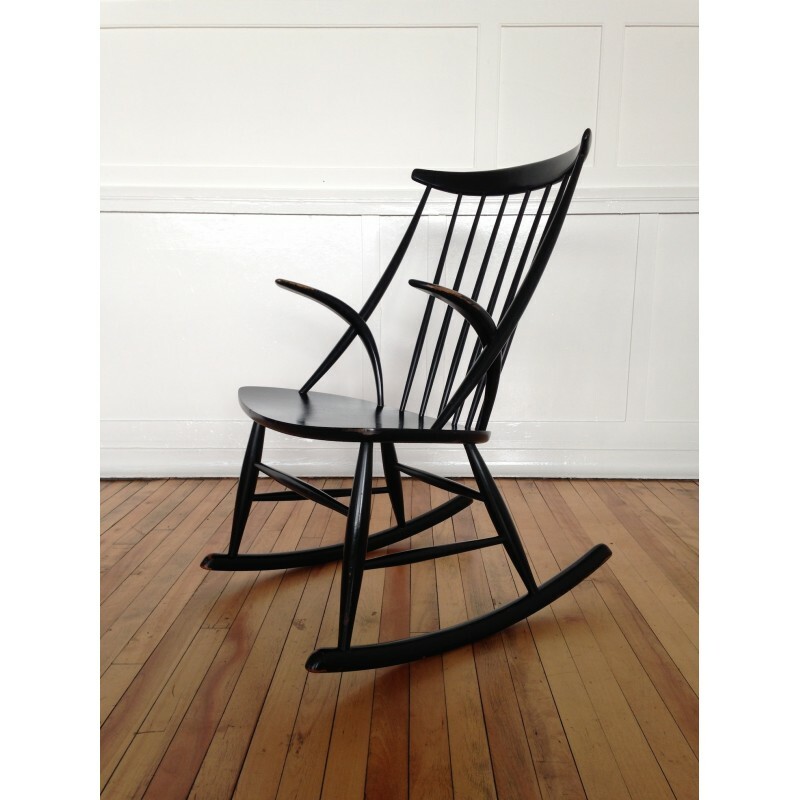 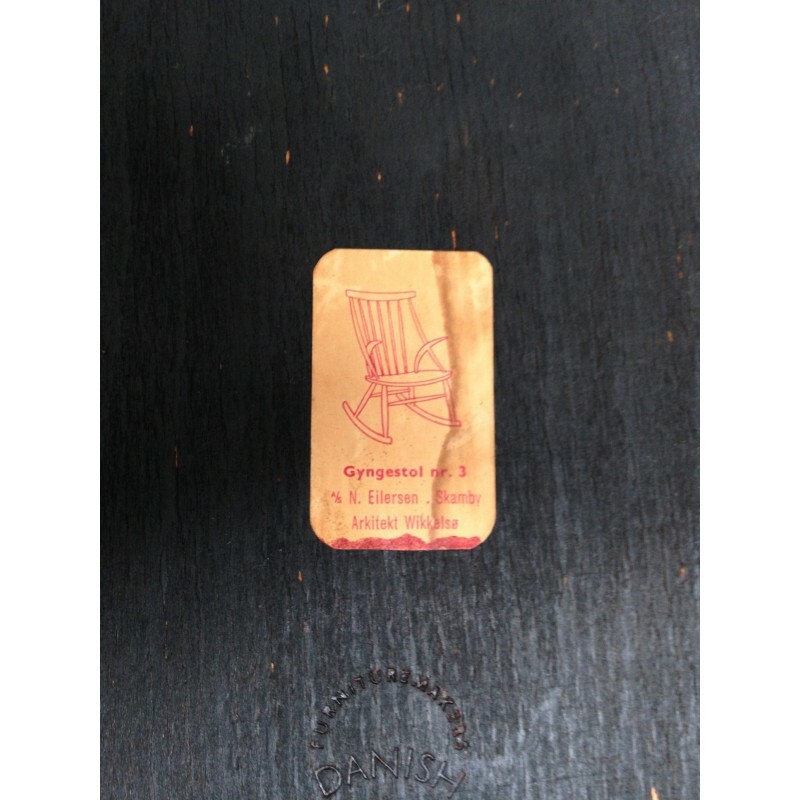 A fabulous 1950's rocking chair designed by Illum Wikkelso for Niels Eilersen, Denmark. 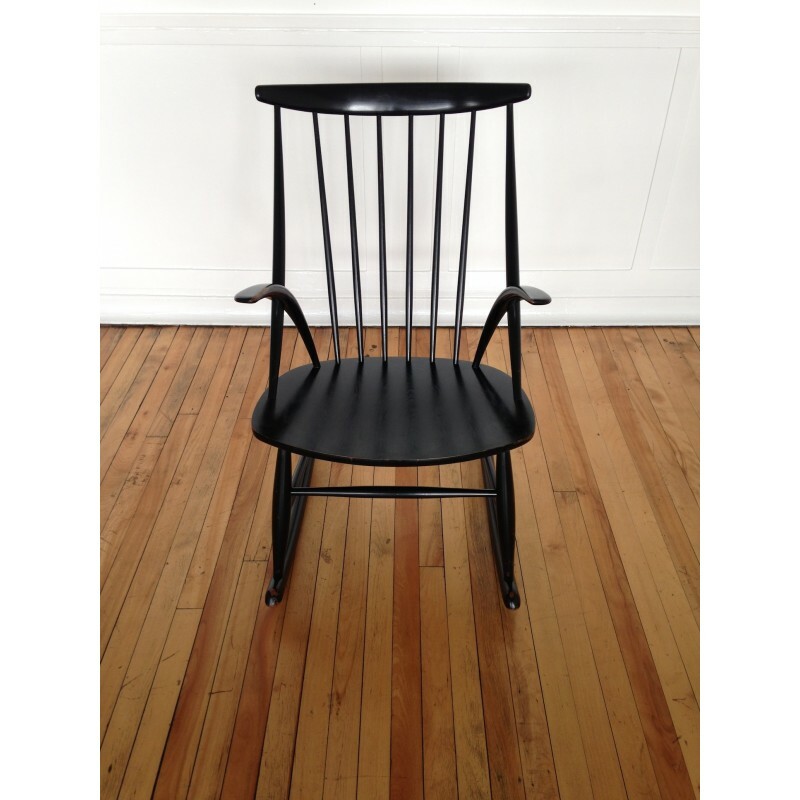 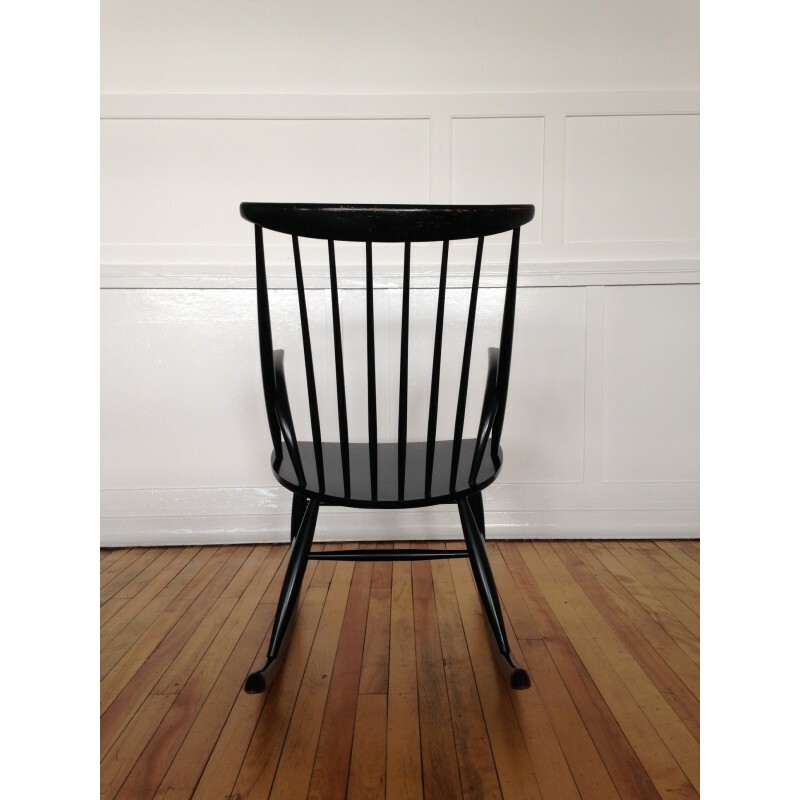 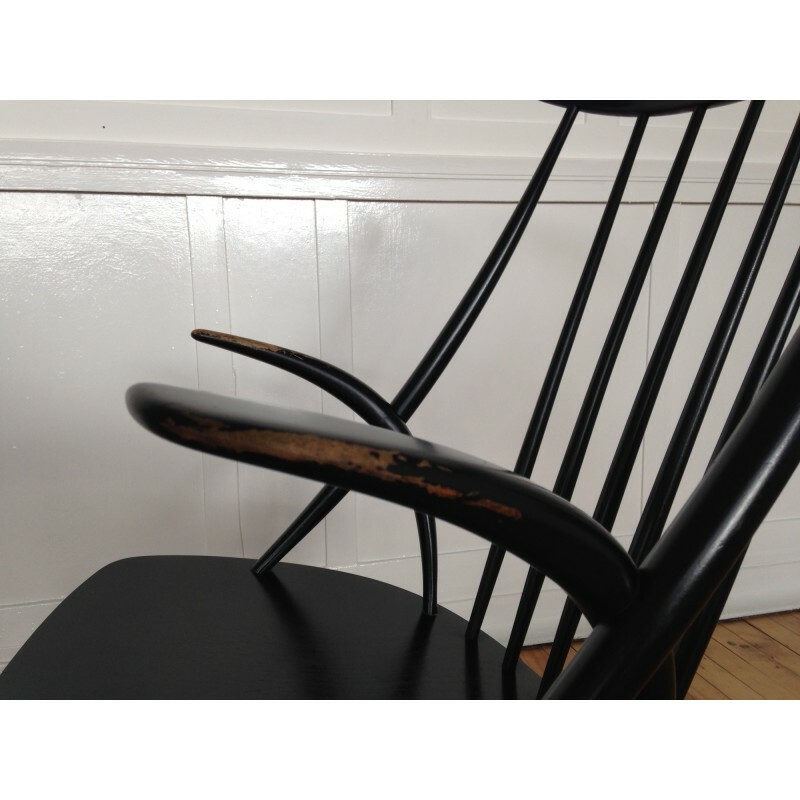 The chair is made from Beech and is in it's original black finish (I assume powder coated) which is in a good vintage condition. 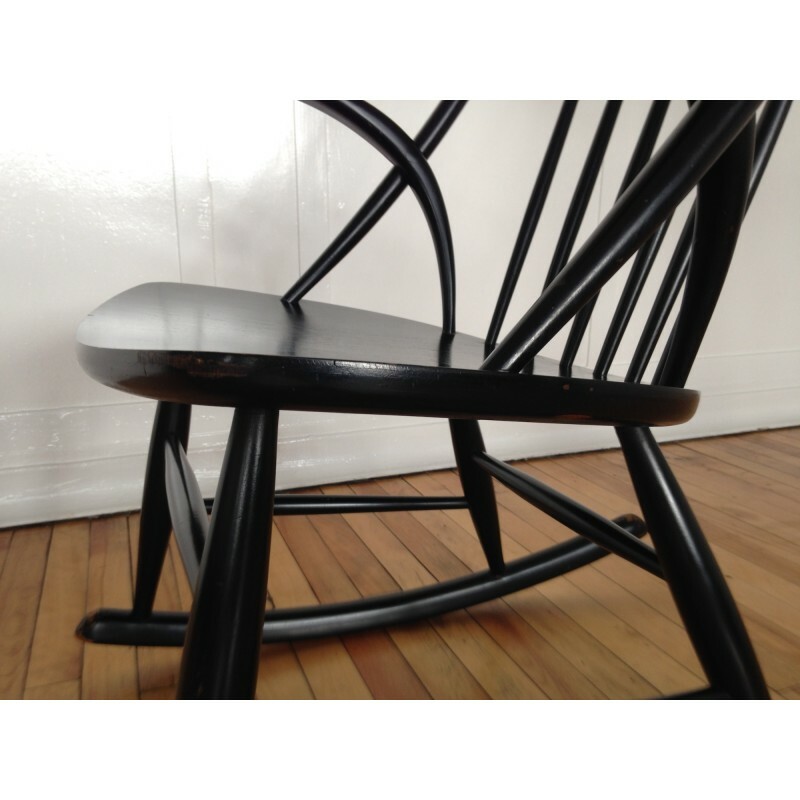 We have carefully cleaned, nourished and polished the chair and it looks fantastic. 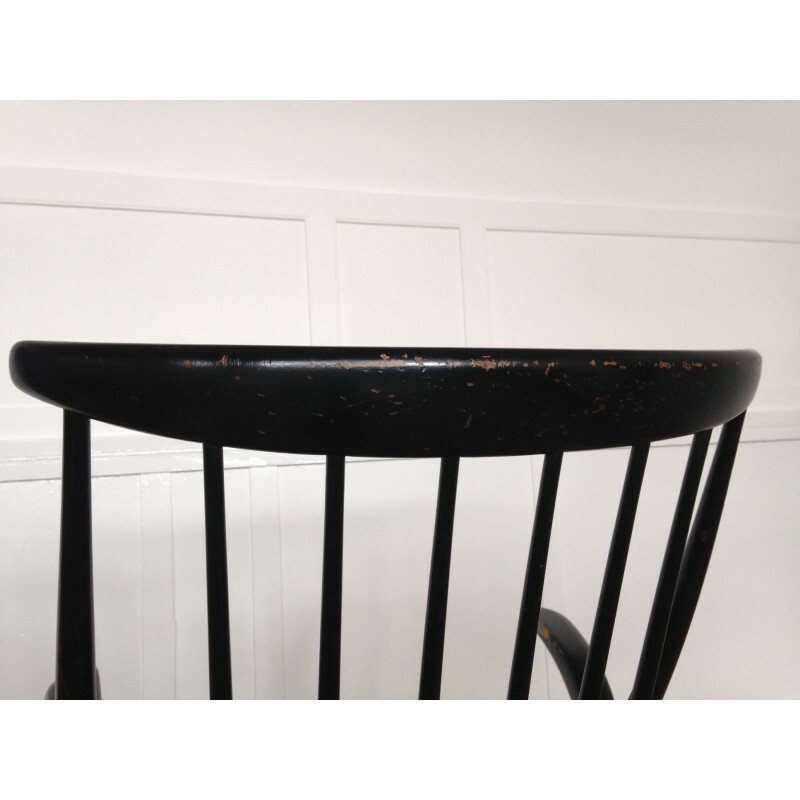 There are some areas where the original black finish has worn off as is to be expected for a piece of this age - please see all the photos. 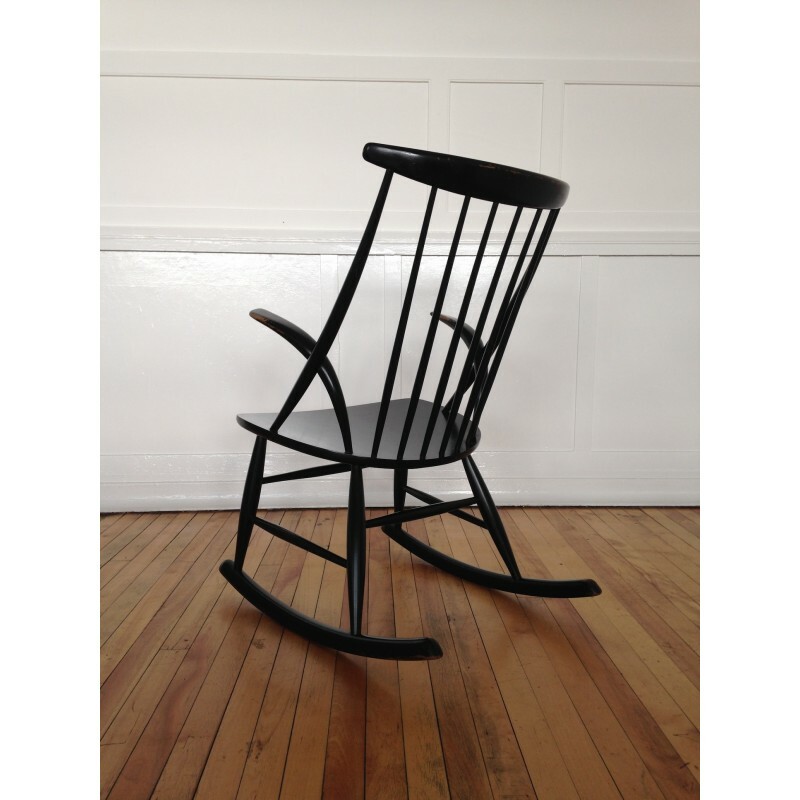 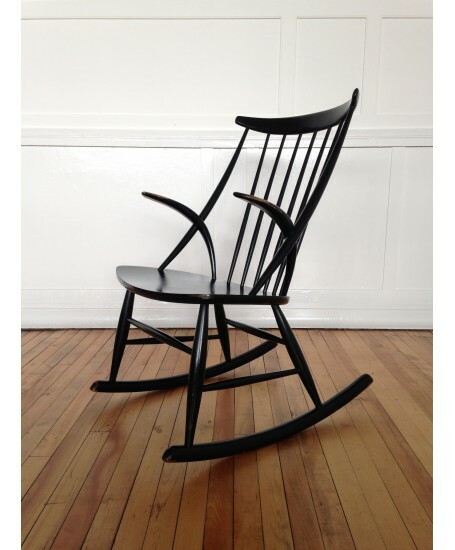 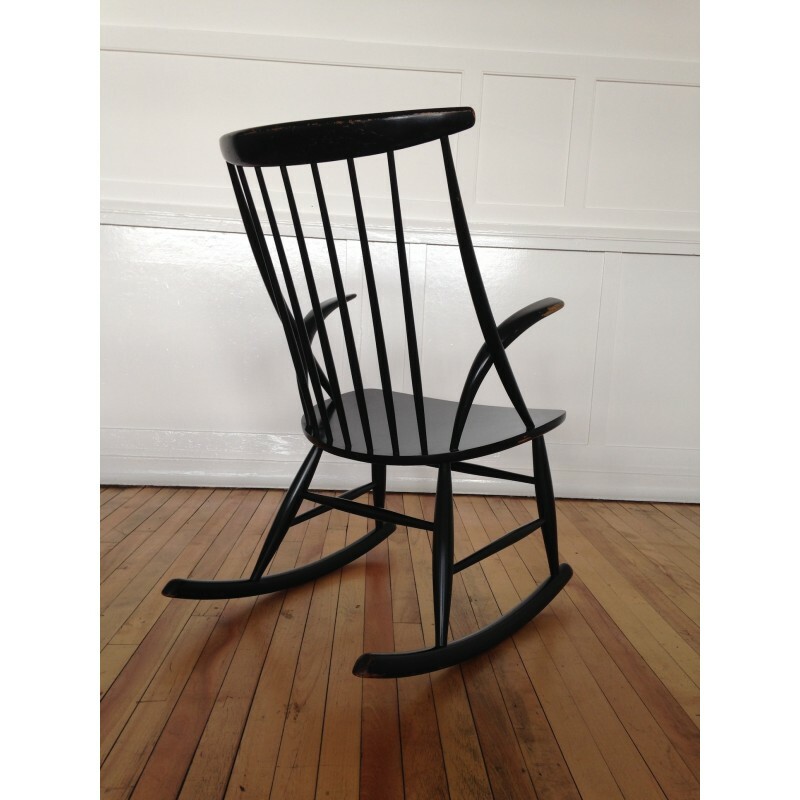 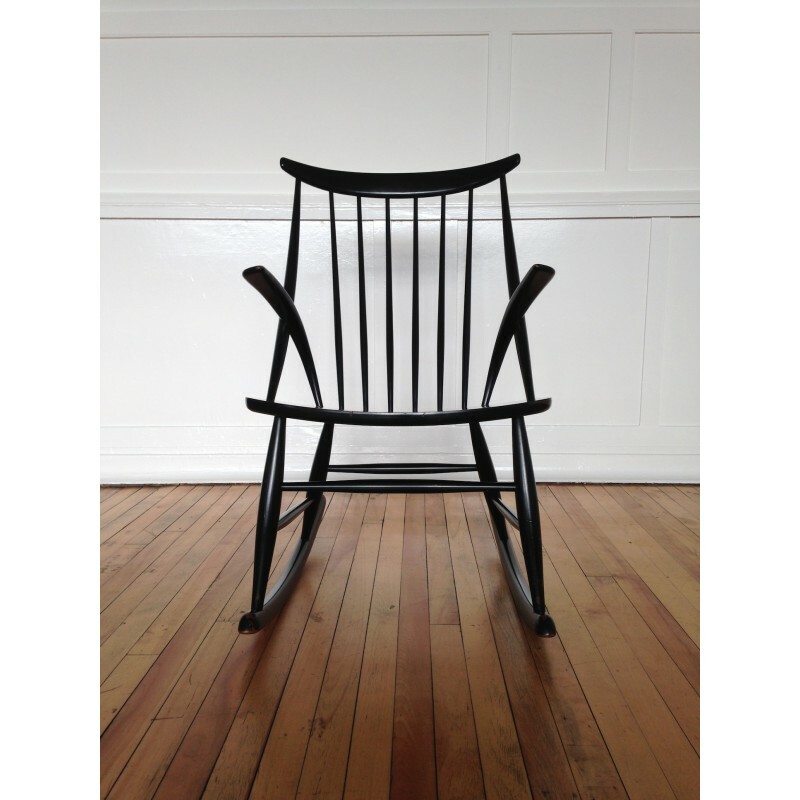 In our view, these in no way detract from the overall appearance of this superbly stylish rocking chair.